Of course, if you are considering franchising your business, one of the key questions on your mind is what does it cost to franchise? This page is about becoming a franchisor, but don’t forget that If you are looking for funding for your franchisees, your small business, or if you are a franchisor looking for ongoing funding for yourself, we have those options in place through our funding arm. What does it cost to franchise my business? You might hear a lot of answers to this question, from $25,000 up to $300,000, and I won’t say that any of them are wrong! Depending on when you consider the project of becoming a franchisor “done” greatly influences the projected costs. When we look at what it costs to become a franchisor, we think it is kind of silly to calculate up to the point that you are ready to sell a franchise, without considering the costs that come after that to actually get franchisees up and running. 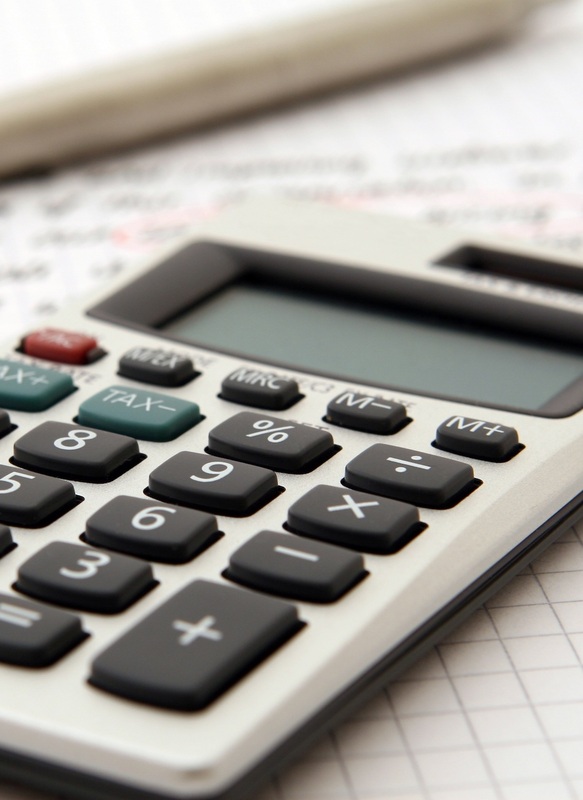 Additionally, it makes no sense to calculate costs assuming that you are right now ready to start the franchising process when most small business owners are far from it. So, when we answer the question “how much does it cost to franchise my business?”, we go all-in! So, let’s look at a breakdown of the steps to becoming a franchisor, and what the cost variables look like at each step. Understand that many of these steps will be performed at least somewhat in tandem, but are described in a linear fashion here for cost-allocation purposes. The Program Planning phase will inform the entire process and shapes the franchisor and franchisee relationship. We strongly recommend hiring someone with an extensive franchise background, or, if it makes more sense, engaging an extremely experienced outsourced solution at this point. The broad range of cost is based on three things; the complexity of your offer, the counsel you select, and if you are working with a consultant or in-house professional who can do lay the groundwork for your counsel to develop into an FDD. The Operations Manual is the document that guides the franchisee day-to-day in operating the business. It must cover everything from running the business at the consumer level to HR, legal compliance, and franchisee obligations. This will be very similar to the Operations Manual. The training materials are what your instructors will use to ensure that each franchisee receives consistent on your franchise system. You must evaluate your current brand, make changes as needed, and then prepare franchise specific marketing materials. You must decide what your growth structure is going to look like, who you are trying to reach as a prospect, and design a process to walk them through mutual evaluation quickly and effectively. Additionally, doing the wrong thing during the franchise sales process can cause lots of heartache and headache later, so you definitely want to make sure the responsible parties receive franchise sales training. Your first year marketing budget is determined by your growth plan. If you want to bring on a couple of new franchisees a year, you can be at the lower end of this spectrum. Fast growth at a sustainable level, however, will require significant spend up front. If you are looking for fast, sustainable growth you will need to spend more money. A good guideline is a new franchisee acquisition cost of $10,000-$15,000 in advertising, though these figures can vary greatly. So, REALLY, how much does it cost to franchise my business? Well now, that’s quite the range isn’t it? Don’t worry, you can narrow it down fairly quickly. If you have a simple model, and plan to go at it alone (not hire a franchise professional or consultant), then you can pretty much count on the high end of the legal costs and everything else being towards the lower end. You should only do this is you have very modest growth plans. If you are going to go for slow growth (1-3 franchisees/year), target only individuals who are familiar with (preferably already in) your industry, and are willing to spend top dollar for the right franchise attorney. In this case, you can get the whole thing done from right around $100K. If you have goals of selling between 5-20 franchised units or more in years two and beyond, you have to lay the groundwork now, and you should expect to spend at least in the middle of the range listed. If your business or target prospect is extremely unusual, but still feasible of franchising, you should anticipate costs towards the higher end. Franchise sales outsourcing won’t save you a ton of money in this initial phase. If you are working with a company that only does franchise sales outsourcing you will likely only have an expense reduction at the Sales and Marketing Development point, although you will also have a significant reduction in work in that area. An outsourced franchise sales company likely already has a sound franchise sales process that they can tailor to your specific needs, they should have negotiated rates with franchise lead source providers, and they will likely do most of the work on that step. What about franchise development consultants? Working with a full-service franchise development consultant is a different proposition. First, they are likely going to be fairly expensive, and the costs were not figured in above. Secondly, they should more than pay for themselves. You should save at literally every step; their fee often will include the Program Planning, they should negotiated rates with franchise counsel that are given not for business referrals but for the work they (the consultant) does on the front end, they should be able to either develop the operations manual and training materials with you or calculate the cost of an outside consultant into their fee, and the franchise sales process and marketing plan should be included. The right consultant should save you between $60,000-$100,000 as you are franchising your business. Additionally, most franchisors end up doing significant re-writes of the FDD in year 2 and 3, as they realize that the documents don’t quite match the way we they want to do business. 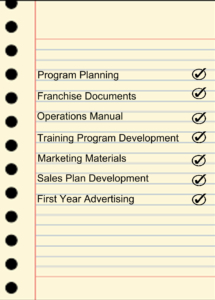 A good franchise development consultant can prevent many of these costly changes. Consultant rates range from $50,000-$250,000, and may or may not include a feasibility study, marketing materials, website design and hosting, or other segments of the overall cost. For most franchisors, from a strictly to-market cost, working with or without a consultant will impact costs by + or -5%, but will, without fail, create significant savings over the first 24-48 months in business and beyond, assuming you pick the right firm. 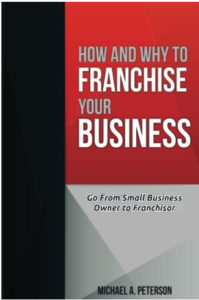 Written by our President Michael Peterson, this book was written to be the go-to for a new or would-be franchisor. It was written with someone from outside our industry in mind. It delves deeply into such topics as preparing to become a franchisor, the legal repercussions of franchising, how to recruit the right candidates, and how to manage a franchise system. How and Why to Franchise Your Business will guide you in building a successful team of experts to help you create the stellar franchise brand that you dream of! If you just want to pick up, here are the paperback and Kindle versions on Amazon. We also help fund franchisees! Franchisees live and die by their capital requirements. If you want to learn more about Franchisor-Assisted Funding then check out that section of our website!